Three months in, and Sips by™ is still going strong! As usual, this month wasn’t a slam dunk but was well worth the experience. For those who aren’t familiar with Sips by™, I outlined who they are and what they do in my initial review, so I’m not going to go into detail this month. 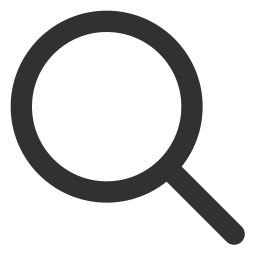 That said, I highly recommend reading my previous reviews to get a better idea of who they are and what they have to offer. What I received last month wasn’t quite the rousing success of the first month, but as a curated service that’s what I would expect. Some months (or, more specifically, some teas) will be huge hits, others not so much. So let’s see how they fared this month! 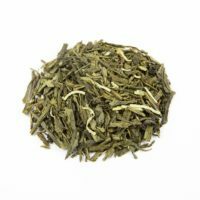 Chunmee Green Tea is a fairly straightforward tea from the Chinese Jiangxi province. While I hadn’t heard of Chunmee tea before receiving it, I did a fair amount of research on it to better understand it for this review. Despite that, I don’t know much more than I did when I started. I learned that it is also called “Precious Eyebrows” due to the unique shape of the hand-rolled leaves. I learned that Chunmee tea is organic and, in the case of Made by Tea, fair trade. In drinking it, I found it to be a mellow, golden tea with just a touch of tartness to it. The aroma is slightly smoky and doesn’t seem to match the flavor, at least in my opinion. I didn’t find it to stand out in any significant way, but it’s a decent green tea nonetheless. I really wanted to give this tea a high rating. I’m a big fan of coconut, and good coconut tea is hard to come by. Unfortunately, this one still gets a mixed review from me. On the one hand, the flavor is great. 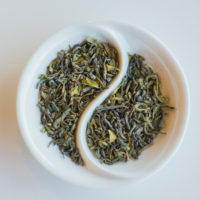 It has a definite rich coconut flavor that pairs excellently with green tea. It’s been called “relaxation in a glass,” and I can see why. That said, the aroma kills it for me. While I’d happily give the flavor four stars, the aroma gets a paltry two by comparison. Something about the way the coconut blends with the other aromas reminds me way too much of sunscreen. I get wanting to make it feel like a beach, but that’s a bit on the extreme side, and it comes across as overpowering. I’ve opted to give this a three-star review because, despite my issues with the aroma, it does taste good, and the aroma doesn’t overshadow the flavor enough to condemn this tea outright. I doubt I’ll order it again, but it’s a worthwhile attempt! 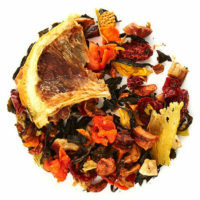 Roasted Herbal Teas” and it’s easy to see why. They offer a wide variety of coffee alternatives, including this roasted chicory tea. Unfortunately for me, it doesn’t not quite what I’d want in a coffee substitute. Impartially speaking, it is an excellent alternative to coffee. 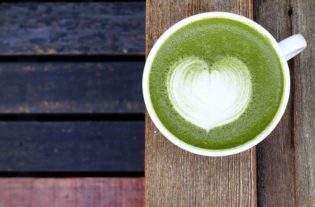 Despite my misgivings regarding tea-based coffee alternatives expressed in the month one review, I could grow to like the offerings from Teeccino. My only qualm with this particular choice is the flavor; I’m not a fan of the vanilla nut coffee idea. Didn’t care for it when I drank coffee, and I still don’t care for it today. However, the aroma is reminiscent of coffee, and it tastes as a decent vanilla nut coffee should. I want to try something else from them at some point that isn’t nut-inspired. Maybe I’ll pick up their Mocha or French Roast alternative at some point. All in all, if you like vanilla nut coffee, this is well worth giving a chance; it’s just not for me. DAVIDsTEA brands this as the “master of all cleansing teas” and, while I can’t speak to that personally, it’s easy to see why. 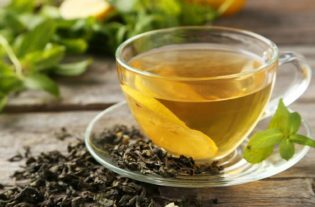 As far as detoxifying teas go, a significant majority are made with either lemon or cayenne, and this tea manages to mix both into a wonderful blend that’s easy to drink. I’ve spoken before about my love for things with a little kick, so I wasn’t sure what to expect when trying this tea. The cayenne base seems to indicate it’ll have the kick I love, but the reality was that most of the kick came from the tartness of the lemon. It’s a very bright flavor with a touch of cayenne in the aftertaste that’s well worth a chance even if you don’t like spicy. Lemon Cayenne Cleanse was, without a doubt, the best tea I received this month. I haven’t ordered more yet, but I did do some digging through the DAVIDsTEA website, and they have many other teas that are quite promising. If the rest of their offerings are as good as this one, they’ll be getting some business from me in the future! After the underwhelming review I had to leave last month, this month was a pleasant change of pace. 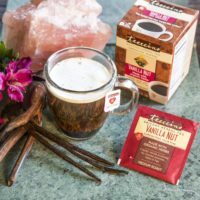 I won’t give all of the teas a spectacular rating, and I was generous with the three stars I gave the Vanilla Nut, but it was well worth trying. Of the four options I received this month, the only one that may well become a mainstay in my collection is the Lemon Cayenne Cleanse, but I don’t regret trying any of them. I should note that I’ve adjusted my reviews a tiny bit; the Sips by™ site asks you to review each tea you try but restricts reviews to whole-star increments. 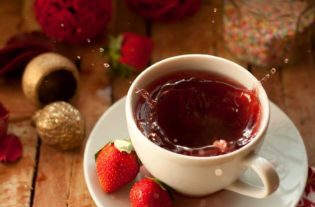 I’ve decided that I’m going to rate each tea the same on my site that I do on theirs, even though this means slight adjustments may sometimes be necessary.